Legend has it that King Talhae heard a rooster crying from deep inside the Sirim Woods. Chancellor Hogong was sent to investigate. Upon arriving, he found a rooster crying underneath a tree on which hung a golden box. Hogong immediately reported his find to the king, who instructed him to bring the golden box into the palace. The king opened the box and found a small child inside, Kim Alji. 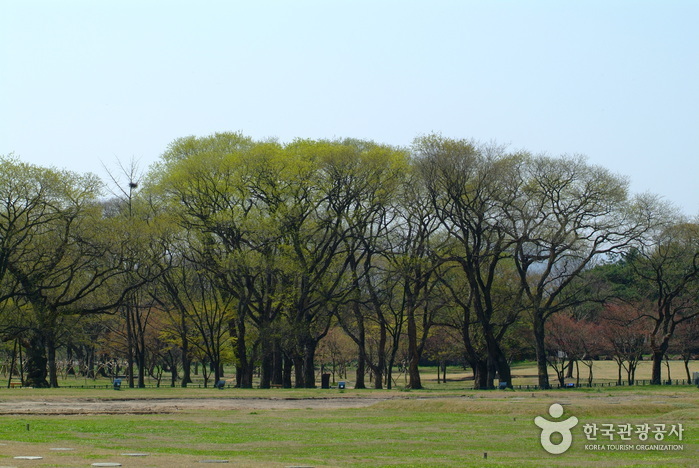 The forest, which had previously been called ‘Sirim’ or ‘Gurim’, became known as ‘Gyerim’, (‘gye’ meaning rooster). The name Gyerim was also used to refer to the Silla kingdom. The memorial stone recording the birth of Kim Alji was erected in the third year of King Sunjo’s rule in the Joseon Dynasty. 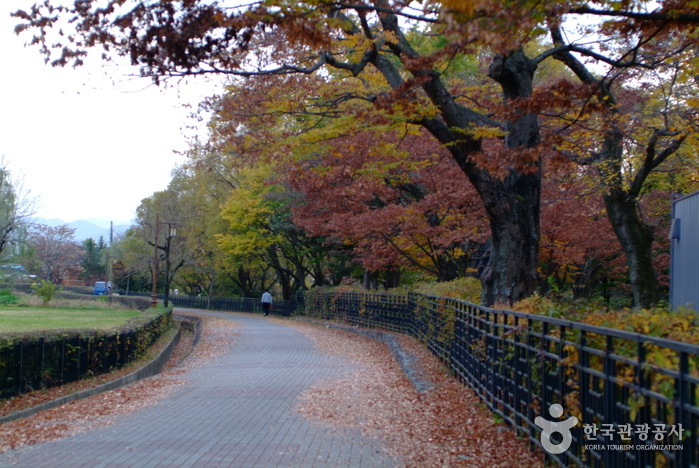 Located close to the royal fortress of Silla, the forest is still deeply revered as the mystical birthplace of the first ancestor of the royal Kim clan of Silla. 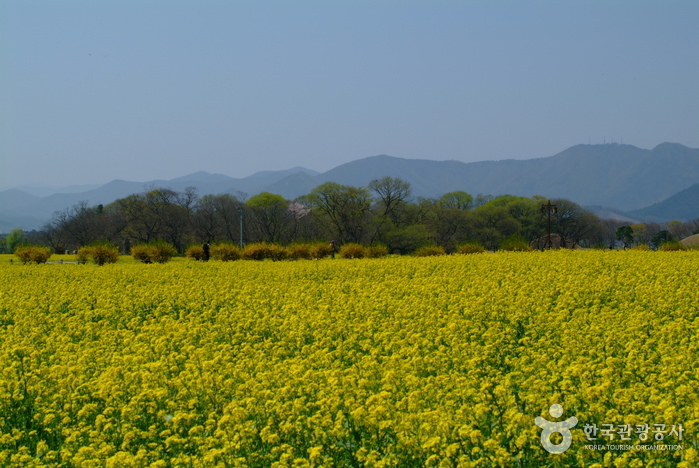 Yellow canola blossoms along the path connecting Daereungwon with Gyerim and Banwolseong only add to the magical ambiance of the forest.